Although diverse members of the animal kingdom do indeed go into winter hibernation each year, gerbils are simply not part of that category. However, the tiny, furry rodents do sometimes enter into hibernation-like, lethargic conditions as a result of being exposed to excessively cold temperatures. Despite the fact that gerbils aren't hibernating animals, the wintertime does bring upon some activity changes in the wee creatures. You may notice your gerbil simply isn't as enthusiastic about moving as during other months of the year. Physically, she may seem a lot lazier during colder weather conditions. She also may seem a lot more interested in eating. The colder it is outside, the more dependent your pet may be on sustenance for the acquisition and conservation of precious energy. Gerbils, quite simply, do not function well in cold temperatures. Because of that, it's crucial always to keep your pet in as comfortable an environment as possible, temperature-wise. To keep your gerbil happy and healthy, think somewhere between 65 and 75 degrees, according to the Small Animal Channel. If the temperature ever hits a low of around 55 degrees, then it's just too cold for your gerbil, full stop. Never allow your gerbil to be in such a cold environment. If for whatever reason your gerbil experiences an excessively cold environment, he may go into a very sleepy and inactive state. You may look at him and think he has passed away, or that he is somehow in a coma. You also may notice slight spasms of the whiskers and a rather stiff demeanor. In this event, it is crucial to transport your gerbil to a warmer place as soon and possible. It is also vital to notify your veterinarian immediately of the situation. 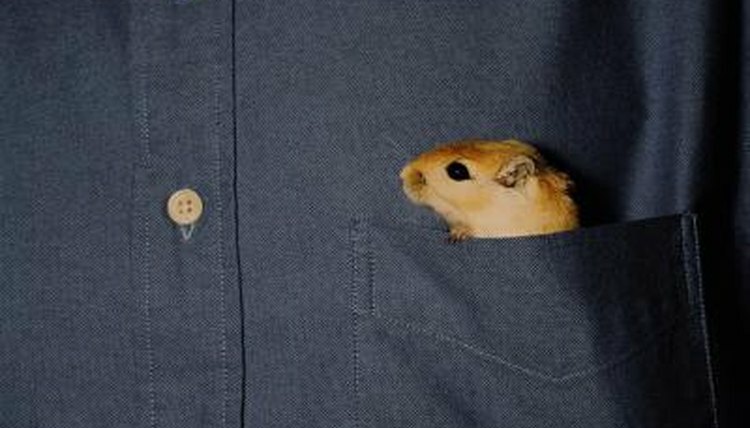 Along with always making sure that your gerbil is in a pleasant and appropriate temperature, it's also imperative to ensure he is never in close contact with any drafts from outdoors. It may be helpful to situate your gerbil's cage far away from windows in your home -- just to be as safe and smart as possible. Your fluffball's health is that valuable, after all.